Emrah Celik – Exclusive mix for bejbi.se. The 47th of our series of exclusive mixes..
Click ”see the rest of this entry” to read more about Adm31 and to download the mix. Emrah Celik was born in Turkey in 1980. When he was a teenager student he started collecting MTV’s selection albums and listening that crazy sound of 90s. When he was just 15 he started his music career as a dj at Radio Star (a local radio station in Turkey) with playing hit musics of 94-95s. When he was in university in 1998 he performed as warm-up dj of Turkey’s famous singers in university festivals. He started to be interested in music production addition to his Professional dj career in the 2000’s. His first jobs included a range of techno, hiphop and rnb sounds. Untill 2006 he performed his music in most popular clubs around Turkey. 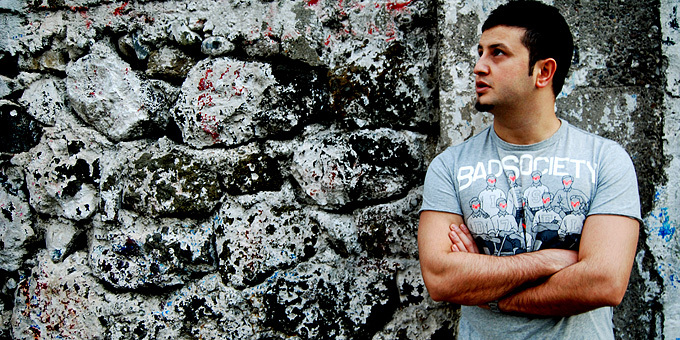 In 2006 he established Tribalizm, which is now one of the biggest dj portals in turkey. Now tribal music is a popular genre in Turkey as it’s being played by most djs, in clubs and radios.This music style became the mid-point of Tribal House and Turkish music. Tribalizm helped to Emrah Celik to become one of the most know dj/producer in Turkey. He also established his own music labels and started to concentrate on productions and remixes in 2006. In the beginning of 2006, some of his productions has become hit on many radio stations and clubs. In 2007 he moved to Sweden and started producing minimal house, tech house and techno music. Just after a couple months he managed to make deals with well known music companies on behalf of his labels.In 2 years in sweden, he has became one of the most known minimal tech artist around Sweden and world. Most of his tracks and remixes has hit the charts. And his tracks has made their place in playlists of djs like Richie Hawtin, Marco Carola, Carl Cox etc. After couple of successful releases he has been chosen to be a Featured Artist on beatport.com and supported by well known artists around the world. Today emrah celik is a successful producer and a well known dj in the global dance music arena. He is impressing the crowd with his dj skills and experience built over a decade and he is satisfying his audionce by his great music performance. Now he is the 47th out for a series of exclusive mixes recorded for bejbi.se by our favorite dj´s, both well known, and unknown, that we will publish once a week untill we run dry. Download Emrah’s Exclusive mix here (right click and save as) or listen to it live on Soundcloud or just press play below here. If you want to hear more of Emrah Celik, check out his Soundcloud or homepage. One Response to " Emrah Celik – Exclusive bejbi.se mix "